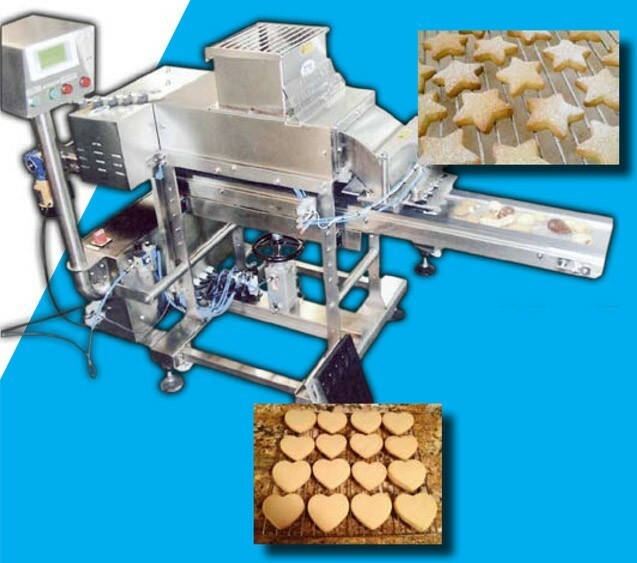 The special biscuit machine is manufactured entirely by AISI 304 stainless steel. It places the dough in a special shaping mold, which can take various geometric shapes, such as circle, rectangle, star, heart, etc., according to the client’s specifications. The minimum thickness of the final product is 5-6mm. The machine can process dough with full pieces of nuts without harm or squeeze them, e.g. the typical Greek “kourampies” with whole almonds. The final product is placed directly on a metal sheet and is taken out by means of a conveyor belt.